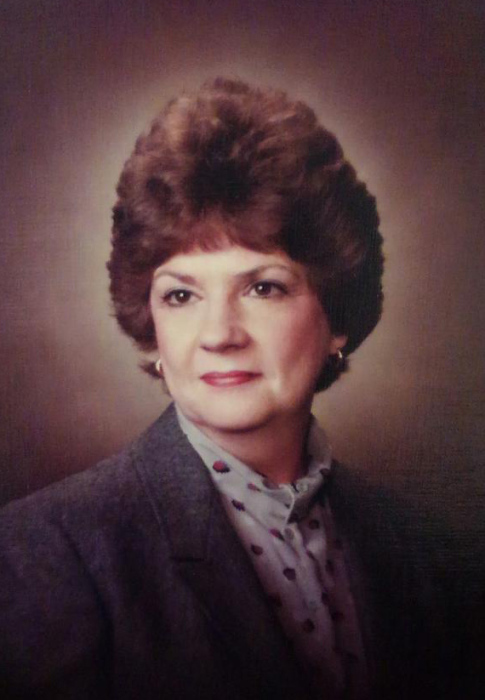 Obituary for Sue Kimble Dudley | Obaugh Funeral Home, Inc.
Sue Kimble Dudley, 82, of Monterey, passed away Monday, November 12, 2018 at The Springs Nursing Home in Hot Springs. She was born February 14, 1936, in Upper Tract, W.Va., a daughter to the late Grace Maude and Riley Vernon Kimble. In 2008, Sue retired as the Circuit Court Clerk of Highland County after 32 years of service. Prior to being elected to that office, she had been employed with Aileen, Inc., Hooke Brothers Lumber Company and Highland Appliance and Electric. Sue attended Victory Chapel Advent Christian Church and was a member of the Virginia Court Clerks Association, Monterey Lions Club, Order of the Eastern Star, and the Highland County Volunteer Fire Department Ladies’ Auxiliary. In addition to her parents she was predeceased by her husband, George Dudley; former husband, lifelong friend, and father of her children, Edwin “Ed” Lee Crigler; brothers, Maurice, Roy, Ralph and Herbert Kimble; sisters, Margie Hedrick and Hazel Simmons; as well as an infant brother. A funeral service will be held 2 p.m., Saturday, November 17, 2018 at Obaugh Funeral Home, with the Rev. C. William “Bill” Cox and Pastor Kenny Carroll officiating. Interment will follow in Monterey Cemetery. The family will receive friends two hours prior to the service. Active pallbearers will be her grandsons. Honorary pallbearers will be friends and neighbors in attendance. Memorial contributions may be made to the Monterey Cemetery, c/o Nancy Sweitzer, 228 Triple Oak Lane, Hot Springs, Va. 24445. Condolences and memories may be shared at www.obaughfuneralhome.com.